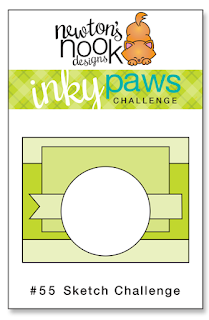 at the Newton's Nook Design blog! This biweekly challenge was a Sketch Challenge! Inky Paws Challenge #55 Winner! 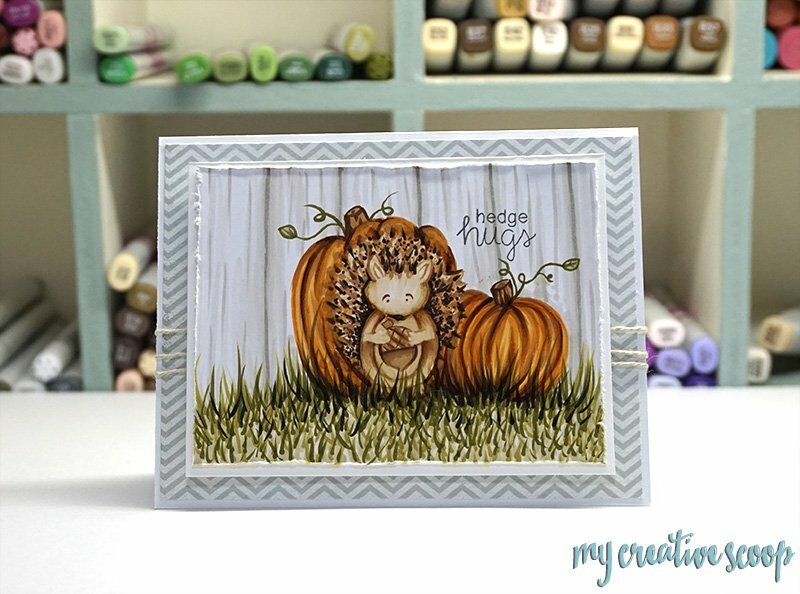 Mindy Baxter's darling card features Hedgehog Hollow. I am so inspired by the depth of her coloring! Kathy fun placement of the images and colorful papers makes for a fabulous coffee-themed autumn card. She wonderfully combines Falling for You, Newton Loves Coffee, and Wagon of Wishes! 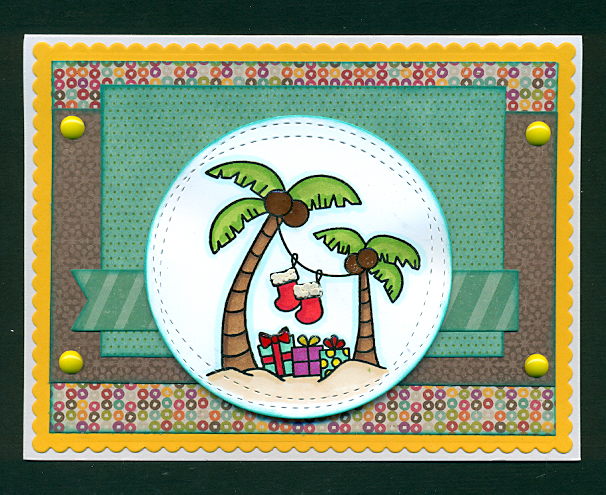 Margo brings us a Christmas in the tropics card! I just love the nontraditional colors and that little bit of fluff on the stocking! Such a darling way to show off Sun Soaked Christmas! Waleska subtle background paper allows the image be in the spotlight! I just love how the coloring on those pumpkins from Newton's Boo-tiful Night. Stamping Kitty showcases Newton'Loves Coffee. I just love all the layers. The different plaids and the added leaves. 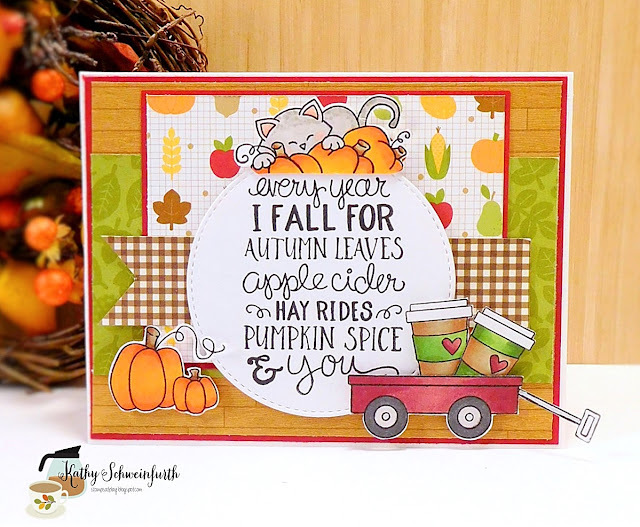 Such a wonderful autumn card! 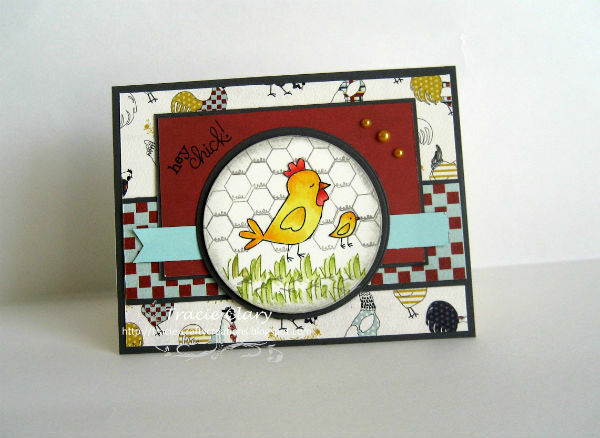 Tracie C. combines farm-themed papers with Chicken Scratches. I just love how she pulled it all together. So delightful! Thanks again to everyone who entered - It's really so much fun to look through all the entries and see everyone's ideas! If you didn't win this time we hope you'll play along again next time! You can always find our most current challenge here. Thank you so much to Zsofia for choosing my card as a favourite - I am honoured! 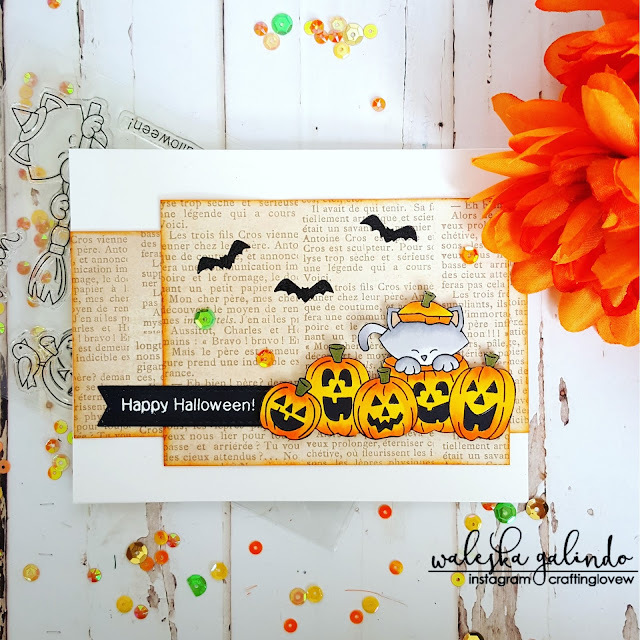 Congratulations to the winner and other favourites - adorable cards by everyone! It was a fun sketch! Thank you so much, Andrea, for selecting my card as your fav!! What a wonderful surprise!! Congrats to all -- such gorgeous creations!